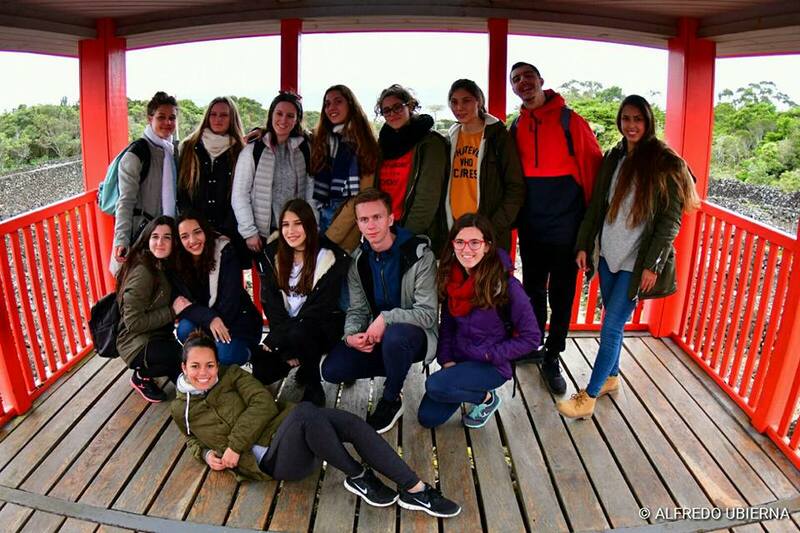 From 26th February – 2nd March students and teachers met in Madalena, Azores. 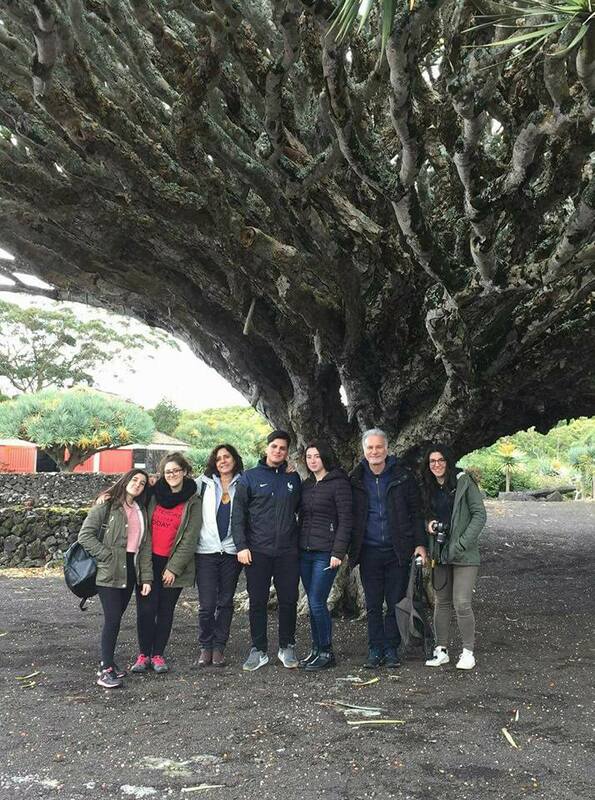 During the 5 working days, pupils and accompanying teachers had the chance to visit some iconic places, attend lectures and discuss the progress of the project that it’s coming to its end. The first day started outside the school building in the municipal auditorium. The Portuguese partner put up a welcome programme, with some welcoming words by the school’s head of the directive board, with songs chosen and sang by some of the students involved in the project, and also a drama presentation, which represented the influence of volcanoes and earthquakes in shaping the Azoreans’ character, their resilience and also the fulfilling of their dreams. After this cultural moment, each partner school presented a multimedia work based on each partner’s experience with the project, how it has contributed to their growth as European citizens, and how important it has been for them as students. In the end of this first morning the Mayor of Madalena, who was present since the beginning of the welcome session, wished all the present an enjoyable stay in Pico and offered each foreign student and teacher some souvenirs. The teams also offered some souvenirs to the Mayor. 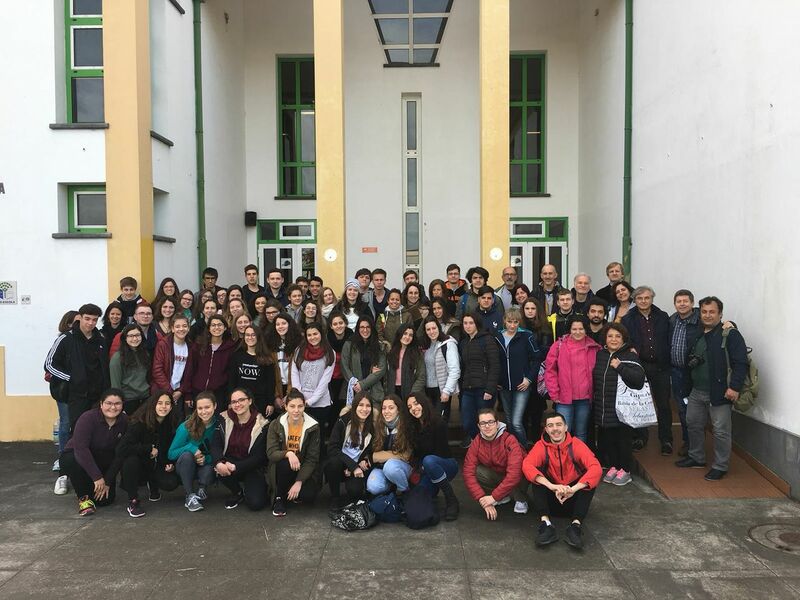 After the end of this session all the group moved to school where they visited a photo exhibit and had a guided tour with the Portuguese students around the school facilities. Afterwards, all the pupils and teachers met in a previously prepared working room. 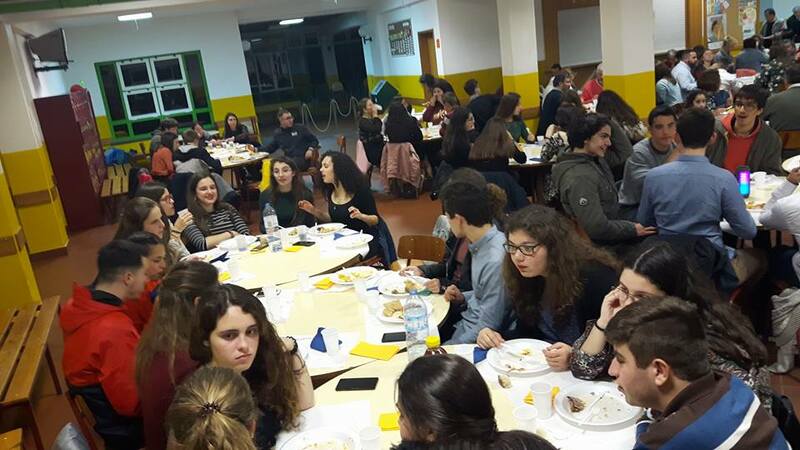 The pupils sat in groups that had been organized by the Portuguese teachers and made some decisions on the type of multimedia presentation that they would show by the end of the week. 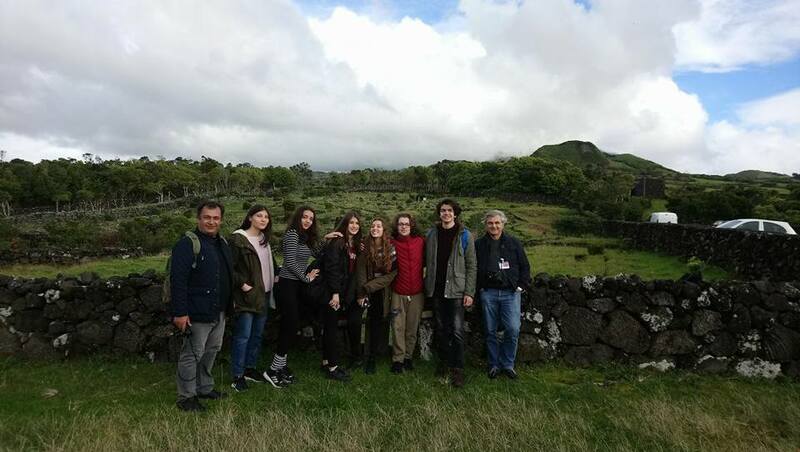 During the week, the team visited some important areas of Pico Island: geological sites, important sites for the conservation of species and habitats, some museums and recreational areas. 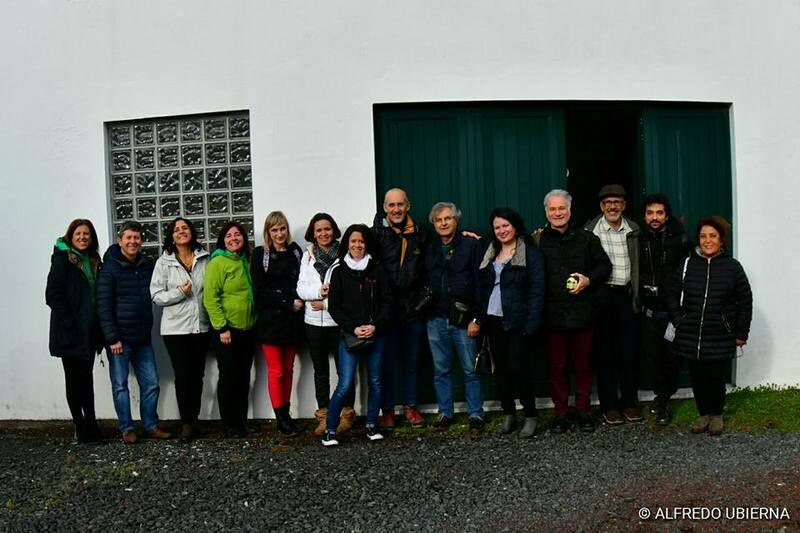 They also visited the interpretation centre of the Capelinhos volcano in Faial island and got to know how the archipelago was formed. 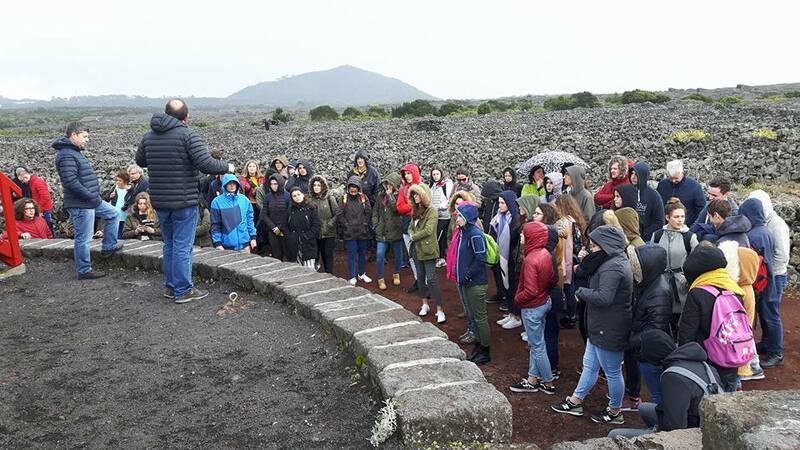 There were also two lessons, one about the Azores Geopark and a final one about volcanism and the specific features of each island of the Azores Archipelago. 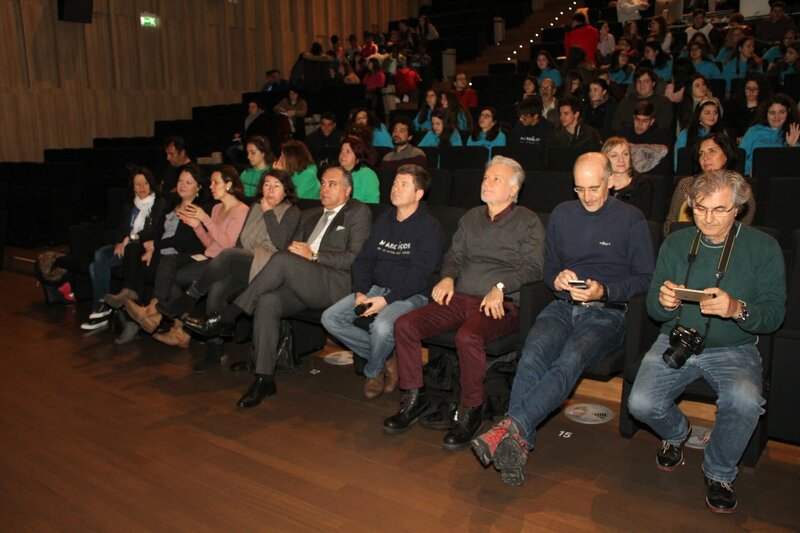 In the final day, the visitors and hosts gathered at the school auditorium and each working group presented their multimedia projects, after which the attended the lesson on the geology of the Azores, by professor João Carlos Nunes, teacher at the University of the Azores and Scientific Consultant of the Azores Geopark. The evening ended with a farewell dinner, prepared by and with the participation of all the host families, and with the presence of a local folk-dance group, which promoted some interaction with our visitors.